It is the NW corner. I wonder if it is related to disgraced former Niles Mayor Nicholas Blaze? There used to be a Blaze's Bar further north near the cemetery. Oddly coincidental name if not. TCK wrote: Big orange awnings up at the old Yilin (and countless others) space in Forest Park. 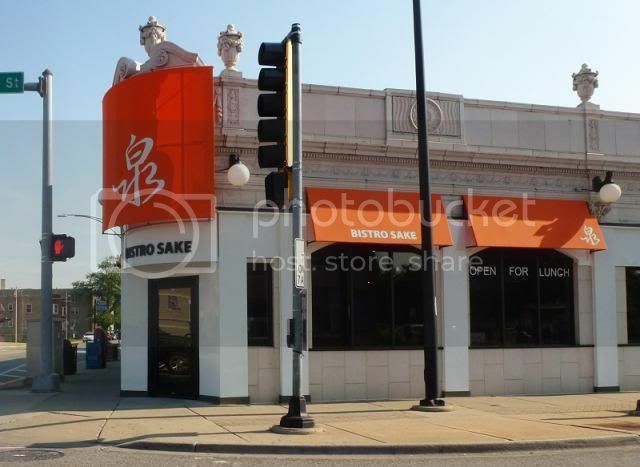 I only drove by but they either said Sake Bistro or Bistro Sake, can't remember. No idea if that's the name or the atmosphere they are going for. Appeared to be open as the "Open!" sign was lit.